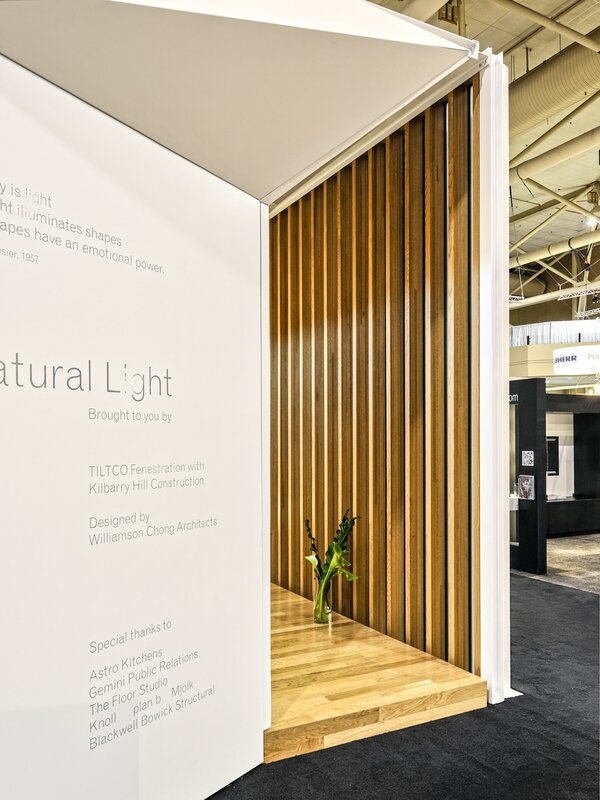 Natural Light | IDS | Williamson Williamson Inc.
Natural Light is a 400 sf installation that was designed and fabricated in partnership with TILTCO Fenestration and Kilbarry Hill Construction Ltd. for the Interior Design Show in Toronto. 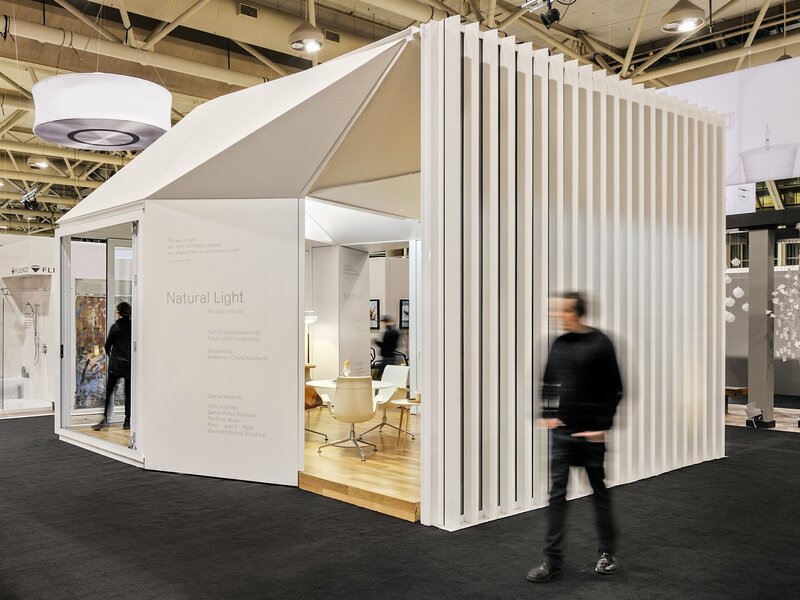 Inspired by the design of a forthcoming residential living space by Williamson Williamson, this project showcases various ways of shaping natural light that will make this home unique in its context of downtown Toronto. 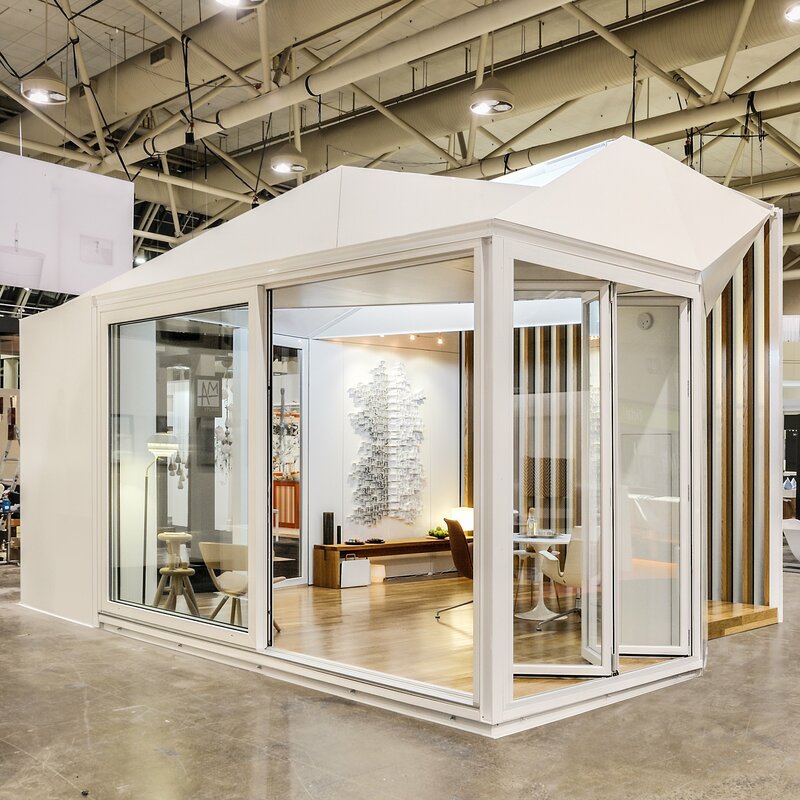 The oragami-like folds of the ceiling are angled to bounce winter light deep into the floor plate and the large scale sliding doors replicate the merging of the living space with the exterior environment. 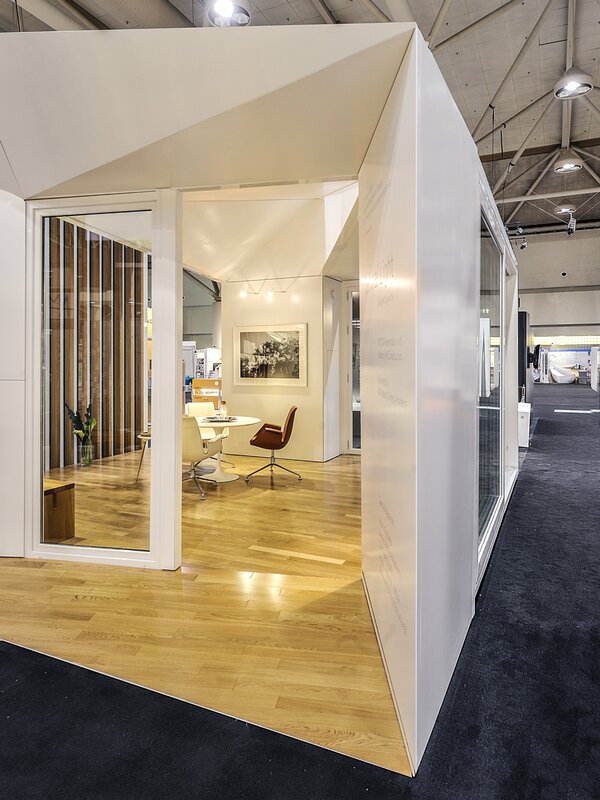 The exterior of the installation features slim slivers of etched glass mounted in a custom wood backed curtain wall with a fin-like exterior extrusion. 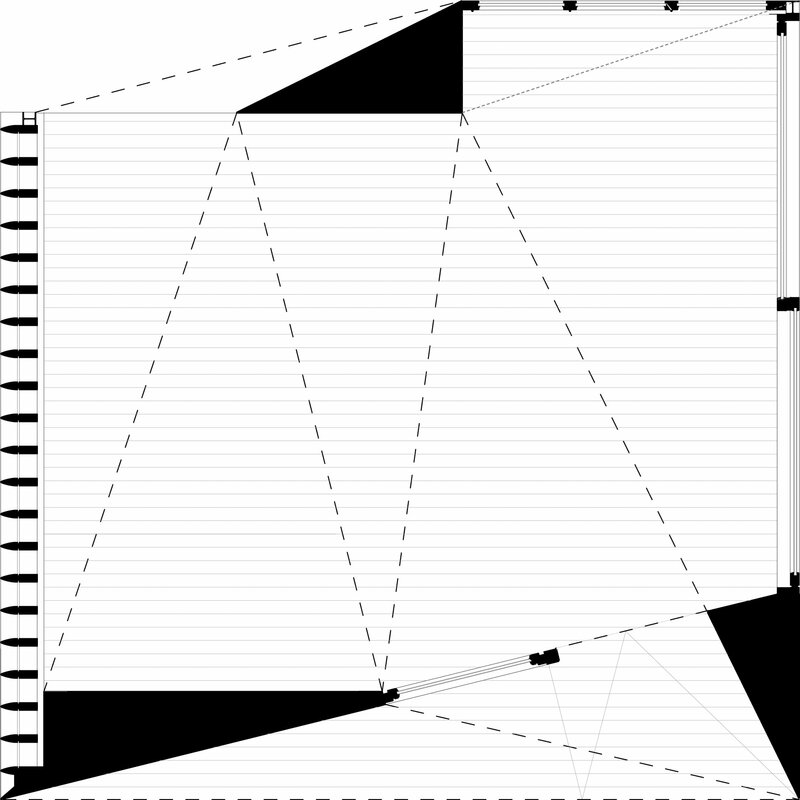 This facade simulates the composition of the proposed residence and will mark it as a feature in the final project. The dedicated team that made this installation possible was anchored by the tireless crews at Kilbarry Hill Construction, Tiltco Fenestration and Astro Kitchens. The exquisite furnishings can be found at Mjolk, Knoll and Plan B. We were all proud to win a Gold Award for best booth at this year’s show.